According to a recent study by ApartmentRatings.com, only 14% of renters said they use a community's social media page as a source of information. When asked about whether or not social media influenced their decision to lease, most residents said "no." In a list of 48 ranking factors, social media ranked 46th. All of these different numbers contribute to a single story about marketing and the multi-family industry: When it comes to getting the word out about your community and reaching prospective residents, social media is usually the wrong platform. How does marketing on social media work? In order to understand the problem, we need to understand how social media works as a marketing platform. Brands are able to reach people who follow their page either "organically" (their posts show up in followers' feeds automatically whenever they post) or via advertising. It is also possible to reach people who do not follow your page, either via shares from individual users or by advertising to a larger audience. That being said, think about the type of brands that do well on social media compared to the brands that struggle or simply aren't active. Interest-based brands can attract followers because people are broadly interested in the topic that the brand is tied to. A soccer team can get a big following on Facebook or Instagram. Musicians, clothing lines, famous actors, or a popular local restaurant might all get a good social media following too. Real estate is generally not going to fit in this category, however. If you choose to follow a soccer team on Instagram, it's because you want to see photos of behind-the-scenes things going on with the team, videos of players, and so on. If you follow a clothing line on Facebook, you're wanting to see photos of new products they're offering or maybe get news on promotions. What is the hook for real estate though? How do prospects shop for apartments? The key to an effective marketing strategy is being able to get into your customer's shoes and understand not only what they are looking for, but how they are looking for it. One of the reasons social media is such a confusing topic in our industry is that you hear a ton of hype about marketing on Facebook or Instagram, but much of it comes less from understanding an actual resident's purchase process and more to do with what gets hyped online and at conferences. Yet when we look at the data we see figures like those cited above. Practically speaking, when apartment shoppers need a place to live, they aren't going to Facebook. They're going to Google, Craigslist, and listing services. So if you have a strategy that doesn't account for that, you don't have a functioning marketing strategy. 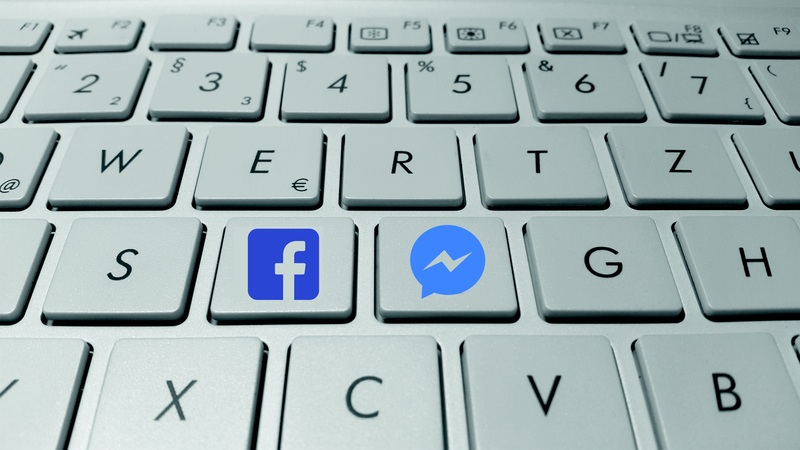 Will prospects use Facebook more in the future? This is an interesting question. A lot is going to depend on how the internet is regulated in the next 3-5 years. For example, if net neutrality is conclusively rejected, one possibility is that Facebook, Google, and Amazon would begin negotiating deals with internet service providers to either make their web properties part of an internet fast lane or perhaps to even offer an extremely low-cost monthly internet package built around access to a very limited number of popular online properties—perhaps just Google, Facebook, and Amazon and a couple others, like Wikipedia and perhaps some media companies that have favorable partnerships with ISPs. That probably won't happen, but predicting these things is basically impossible. If this happened, then you may see more and more internet use getting shifted exclusively onto these already-popular platforms. In such a scenario, more businesses may decide that it makes more sense to basically embrace digital sharecropping: building their online presence on a platform owned by someone else, like Google or Facebook. That said, right now things seem... not great at Facebook. They stopped growing. Former executives and others in the tech sector are criticizing Facebook publicly. More and more people in the media are leaving the social network and encouraging others to do to the same and their employers are distancing themselves from the network. There is even a chance that Facebook could be the first major tech company targeted with an anti-trust suit by government regulators. Many are coming to the conclusion that Facebook cannot be fixed because the problem is its business model. What all this news should tell us is that the future of marketing is still kind of murky and the future of marketing on Facebook is especially so. This makes it hard to make any firm predictions about how shoppers will or will not move toward Facebook in the future. Given the uncertainty, how should we think about marketing today? These sorts of things are going to translate well from one platform to another. Each of them will make your marketing more efficient. With advertising in particular, we have seen a number of properties perform quite well. We have also seen others struggle, so don't assume that Facebook ads can be your silver bullet. That being said, we compared Facebook ads with Google defensive ads, ads that target general keywords like "apartments in (city, state)," remarketing display ds, and ads that target a competitor's community name. In a number of cases we saw Facebook ads performing far better than most of the ads and on a similar level to defensive ads--but reaching a much higher volume of people. If you want to experiment with Facebook ads, it may be something worth doing. But start slowly and make sure you have reasonable expectations going in. Should we use Facebook at all? Every 6 months we examine the correlation between the survey questions of our Annual Satisfaction Survey and perception of value. After our most recent analysis, we were surprised at the results. The #2 driver for perception of value was social media. What stunned us even more was for the past 5 years we’ve conducted this analysis, social media was never among the top 10 drivers and then suddenly, it shot up to #2. Only 31% of residents surveyed for our 2018 Social Media Study follow their community on the most popular site, Facebook, and our SatisFacts Index reveals a low satisfaction rating of 3.12 out of 5.00 in regards to the social media efforts among the 5,800 communities participating in our survey programs. For social media to land at the #2 value driver, and with cumulative data contradicting such a high placement, we were compelled to take a deeper look. Do residents actually care if their community effectively incorporates social media into the overall resident experience? Residents are simply saying if their community is going to dedicate resources to any social media platform, it shouldn’t look like a waste of the management’s time. And if the community expects their residents to connect, engage and participate via social media, it shouldn’t be a waste of the residents’ time either. Flooding a resident’s timeline with posts aimed at generating traffic come across as self-serving; only to the benefit of the community. Respondents to our 2018 Social Media Study ranked posts regarding community improvement announcements as most important, and advertisements of vacant apartments as least important. This is the funny thing about Facebook. Though it seems like hardly any of our customers in the industry expect us to use it, they also expect us to use it well if we do. Put another way, will they use our Facebook page while researching communities? The data says "probably not." But will they use that page once they are a resident? They might! And if they do, they expect a good experience. Most important, if they actually have a good experience, it does very good things for your perception with residents. This, then, is the challenge of Facebook for apartment marketers: The front-end rewards for using it well are pretty minimal. But the long-term benefits in terms of perception with residents from having a useful, active page are definitely there. So should you be active on Facebook? Well, it depends: If you are needing some serious marketing help ASAP, probably not. Even a good Facebook strategy isn't going to do much for you in terms of marketing. So if that's the immediate crisis, you need do some other things before you turn to Facebook. That said, if your marketing is basically in order and you're looking for a way to improve perception with residents, then an active Facebook page with relevant posts seems to be a good strategy. The benefit to the bottom line is not as direct, so in terms of prioritization this is further down the list. But the data suggests there is value here. And if you're already accomplishing your higher priority goals, then an active Facebook page that helps residents wouldn't be a bad thing to try.